I remember one of the first times, I had made brownies for my boyfriend (now husband) and his then roommate. I was visiting and decided to give these guys a nice home cooked meal. They both were very willing to help. I set one, helping with the entrée and the other, helping with dessert. That day, I was making brownies. I had just recently come back from Belize (I was living there for 8 months, while in medical school) and this recipe was given to me, by one of my Belizean neighbors. So, as I was looking over my ingredient list, the first thing, my husband’s roommate asks me is “So, where is the brownie mix box?” Box Mix?! I remembered the surprise on his face, when I told him, we were making the brownies from scratch. Ahh memories. This recipe, is an adapted version of that brownie recipe. Combine cocoa powder, baking soda and vegetable oil. 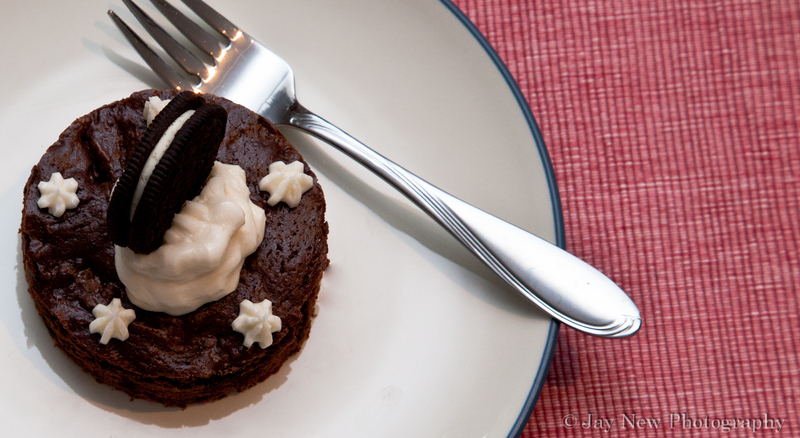 I used a biscuit cutter to cut out my brownies and decorated it with buttercream and an oreo. Box brownies can’t even compare to made-from-scratch brownies. There’s nothing better. Thank you so much Allison! I have linked up! Happy Cooking! Thank you so much for the invite! I have linked up my brownies and they are ready to go! Thank you for visiting and happy cooking! 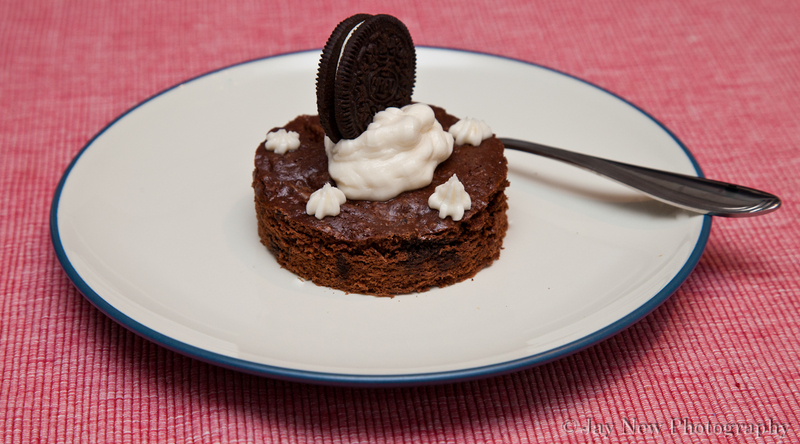 Wow never thought of using oreo in brownies, what a great idea. This will taste really good which reminds me the taste of the crust from the oreo cheesecake recipe. Haha, I love guys perception of baking!!! And, um, YUM! LOL I know..That memory still, to this day, amuses me. I see why you called me over here. BROWNIES!! You know I love brownies and I am in love with these. Oh my, I am just drooling at reading this recipe lol. I have to make this.. SOON. Girl, I love this blog. Thanks Babygirl 🙂 *HUGS* You are awesome! That’s the final straw.. WILL YOU DIVORCE JASON AND MARRY HIS MOTHER????? LOL Sorry mom 🙂 Save your calories, for when I come visit!